James Washington III, better known as Jurassic James, is the Customer Service Senior Lead and a crowd-pleasing tour guide at Houston Museum of Natural Science. But, he's not just a tour guide. A natural educator with a love for science, he quickly earned a reputation for going above and beyond. He was a visitor to the museum for years before becoming an employee and now trains other guides, teaches classes and helps guests with whatever they need. We caught up with Jurassic James for a look at his amazing classrooms, giant collections of rocks, minerals and dinosaur figurines, and insider tips for visiting. "Jurassic" James Washington in his classroom at Houston Museum of Natural Science. A passion for science: Science makes logical sense. There is a method of rational thought that must be adhered to. Like many people in science, I do not completely understand the nuances of social interaction or people's thought process, but science is universal. People from all walks of life can appreciate the wonders of scientific discovery! 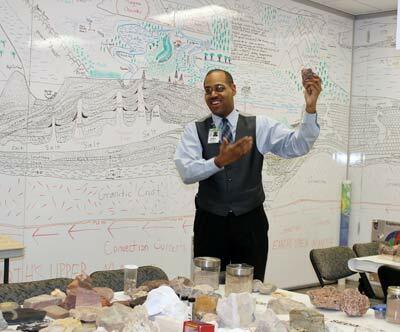 His amazing classrooms: The classroom contains a total of over 10,000 items of my own minerals, rocks and fossils, and almost 1,500 models alone! I am a Geology tutor by trade with my own collection, so I borrowed some of the Museum's lower level classrooms for teaching space and set up the classrooms featured in the Chronicle. One day when I was off, my coworker told my boss about my classroom and the secret was out. Now I teach Adult Education, Home School and Beyond, Staff and Volunteers. The collections: Growing up I liked dinosaur toys (still do), and I just bought them to play with and have. My mom would come home from work and see herds of dinosaurs separated by species and time period all over the house. Being the ever-so-supportive parent she is, she would ask for a simple path to the kitchen and bedrooms. For me, having a book and a model and drawing a picture gave me a better understanding of these long-lost animals. When I started teaching, I used the same methods for my students with positive responses. Many of my students wondered why I brought toys in to sit next to the fossils. They would laugh, thinking it was silly. Then they passed their exams, which turned their laughs into thank yous. As I bought more models, it became a more formal collection. Creating the giant murals around the classroom: First, I am not an artist by any means. But I am a visual learner and even though I took college courses and graduated from University of Houston Downtown, drawing diagrams and making graphs is how I teach myself. So having classrooms with walls made of white board was a godsend, and I could see the full possibilities of what little drawing abilities I have. In short, the diagrams are of the Earth's crust and upper mantle. They stretch from the ground to about ten feet tall and cover the majority of four classrooms. Favorite part of the museum: My personal favorite part of the museum is the Morian Hall of Paleontology. Paleontology is my area of study, making me a little biased. But my interest, like the hall, goes beyond dinosaurs. 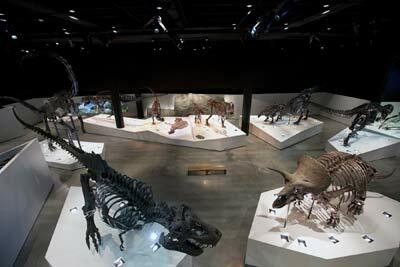 What makes our HMNS hall so special is its attention to adhere to the order of the fossil record, from the oldest fossils to man. I once had a guest ask me why the "dinosaur hall" had all the other fossils. I told her that is just it, it is the Hall of Paleontology (study of all prehistoric life), not just dinosaurs! The most underrated exhibit: I feel the most underrated part of our museum is the Hall of Malacology and Gems of the Sea. Most people walk through very quickly and think, "It's just a bunch of shells." It may not be the biggest in the country, but it is one of the finest, if not the finest. The mount work of the shells is exquisite! Our Discovery Guides were trained by Curator Tina Petway, and each specimen has a story, which is why I am a proponent of tours—to hear those behind the scenes stories that could not fit on labels. Best thing to see first: I would suggest seeing the Butterfly Center first. It closes slightly earlier than the rest of the museum. When you first enter the exhibit, there is an entomology display that is educational for the adults and kids alike. Next is the rainforest, which has live butterflies! You are instantly transferred from Houston to the tropics, including includes a cenote pond and waterfall. The lower level has more interactive lab displays and a bug vending machine. 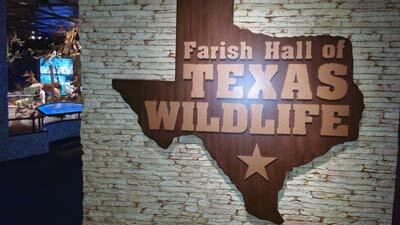 On what surprises people about the museum: Our guests would be surprised at how much work went in to our African and Texas Wildlife Halls. The exhibit holds actual mounted skins and is designed to recreate their authentic biomes with a few animatronics for the kids. The design is such that our guests are immersed in the environment. Where other wildlife displays are like three dimensional paintings, our guest can walk between the different locations. Our Curator Dr. Dan Brooks is a true scientist who has named many species, one of which was a bat that we just put on display! The museum's best kept secret: Our Hall of the Americas. When our guests go to the third floor, they gravitate to the Hall of Ancient Egypt, which is the largest in the country and deserves much fanfare! 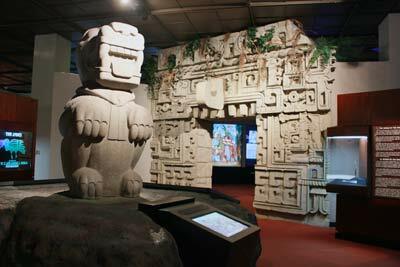 But the Hall of the Americas covers North, Central and South American cultures from the Arctic to Peru. There is even a model of an Aztec Temple that our guests can enter. I discovered it before I worked here and was awestruck! What to see during a quick visit: The answer would of course be Paleontology and Egypt. When people come to museums, those are the halls that they expect to see. The saying "go big or go home"—our museum went big! But our Gems and Mineral Hall is one of a kind. Many museums show minerals with a strict chemistry focus, with the specimen separated by chemical grouping. 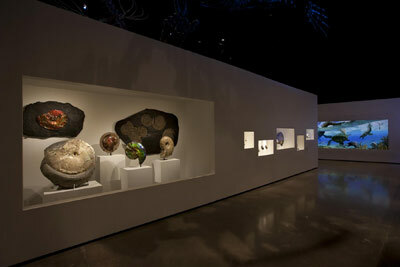 The Curator, Mr. Bartsch, has designed the hall like an art gallery, which in my humble opinion, highlights the uniqueness of each specimen. If you have all day: The Paleontology Hall is the rightful time-consumer, as my long tour showcased. Even though my area is dinosaurs, the trilobites are a two-hour tour alone. I have received training from Sam Stubbs, the trilobite donor/expert himself. And to look at the exquisite detail preserved in the fossil bugs is beyond belief. Many took over three hundred hours to prep! Best guest moments: I once saw a little girl turn the corner to see the first dinosaurs on display in the Morian Hall of Paleontology. She stood still and squealed continuously while switching from standing on one foot to the other, back and forth. It was pure joy—joy in seeing the fossil remains of these long lost creatures. I was starting my own tour nearby and said, "I hear you sister!" Best spot for kids: Many children love to touch things. 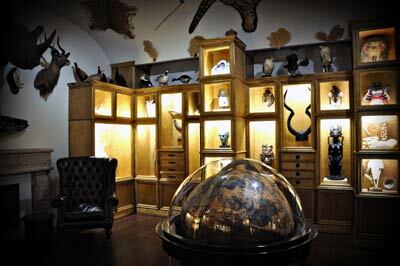 The Cabinet of Curiosity is the brainchild of the museum president, Mr. Joel Bartsch. In this exhibit, everything can be touched very lightly. Cabinets like this belong to people curious about the natural world. They gathered specimens from all over and displayed them in their homes. In some ways, my classrooms abide by this long tradition of people fascinated in the natural sciences. When visiting: When you come to our museum, through the main entrance there is an information desk where the concierge team wearing black and white are just waiting to help you, our guest. We are here to answer questions and guide you to a wonderful day. And if you want to know more, the Discovery Guide tours are offered every day to the public to give you the background information that will make your experience all the more sweet, like a cherry on top! Thanks, James. Read more about him here, and here. Houston Museum of Natural Science is part of Houston CityPASS.